Jeanine Durning is a choreographer, performer, and teacher from New York, creating solo and group works since 1998. Her research is grounded in choreography as ontological inquiry – exploring questions of who we are, the nature of perception and relation, and the slippery terrain of invented narratives of self and other. Durning’s current research deals with a practice she calls nonstopping which she began to develop in 2009 and which has manifested as a solo performance practice of nonstop speaking called inging (2010) and a group performance practice of nonstop moving called To Being (2015). To Being will premiere in NYC September 2015 along with a remount of inging. inging has been presented in Amsterdam, Berlin, Leuven/BE, Zagreb, Toronto, and across the US in Pennsylvania, Minnesota, NYC, Massachusetts, and Wisconsin, with upcoming performances in San Francisco. 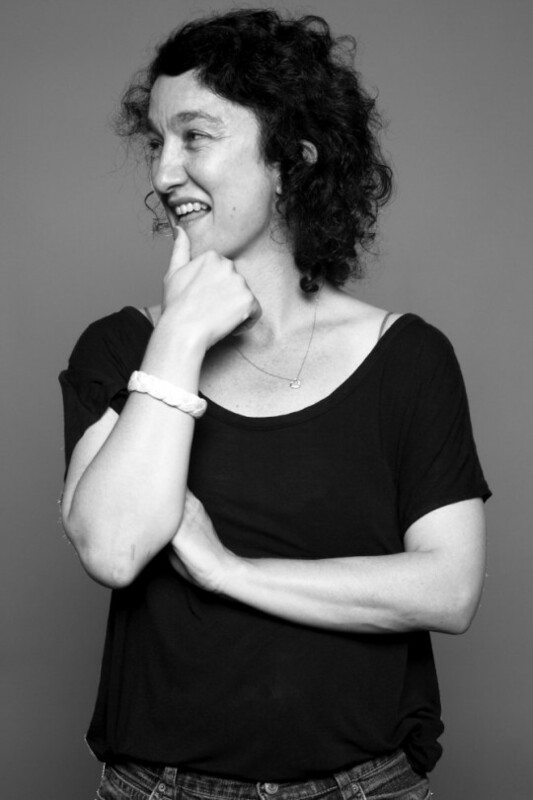 Durning has received numerous awards and residencies in support of her work, including a New York Foundation for the Arts award and the Alpert Award for Choreography. She was recently nominated for the US Artist Fellowship. Within the past two years, she was a Movement Research Artist in Residence, a Gibney Dance Dance in Process Resident, and a recipient of a space grant through Brooklyn Arts Exchange, all in support of her practice of nonstop moving. Durning has a dedicated teaching practice and has been faculty at SNDO/Amsterdam and HZT/Berlin on and off since 2009. She was current guest faculty at New School/Lang College and teaches often through Movement Research in NYC, as well as acted as “outside eye” to many choreographers’ works. She has been commissioned to create original work and since 2002 has created over fifteen works for companies, performers, and institutions across the US and in Europe. She is often invited to act as ‘outside eye’ to many choreographers’ works. As a performer, Jeanine has had the privilege over the years to collaborate with many choreographers of diverse creative concerns and priorities including Susan Rethorst, David Dorfman, Lance Gries, Chris Yon, Zvi Gotheiner, Martha Clarke, Richard Siegal, and Bebe Miller. Since 2005, Durning has worked on and off with choreographer Deborah Hay in the capacities of performer, choreographic assistant and most recently, from 2011-2013, as consultant to the Motion Bank, conceived by William Forsythe, on Ms. Hay’s choreographic and scoring practices. My work often incorporates seemingly disparate elements in a nuanced ecology of movement, text, music, autobiography, invented narratives, cultural criticism, philosophy, and psychology. At its foundation is a rigorous research of the body: what it does, what it is capable of doing, what we perceive it is, how it interacts with other bodies, how it holds and conveys multiple meanings, and how it directly effects social, political and cultural landscapes. My research is grounded in choreography as ontological inquiry – exploring questions of who we are, the nature of perception and relation, and the slippery terrain of invented narratives of self and other. My current research deals with a practice that I started to develop back in 2009 called nonstopping which has manifested as a solo performance practice called inging, and a group performance practice called To Being. Whereas inging proposes the insistent practice of unscripted nonstop speaking as performance, To Being proposes the insistent and imperative relationship to nonstop moving as performance. Nonstopping emerged as a practice when I started to question what the nature, role and relevance of performance is, and how to be able deal with essential questions about who we are, about dance and the body, about personal history, about collective thinking and experience, about phenomenology, about perception, about theater and fiction, about communication and meaning. I have preferred not to work within the conventional model of the “dance company.” Rather, each performance is based on a devised way of creating work with the specific collaborators involved – horizontalizing modes of making and authorship to more fully understand the nature of relation and the core nature of performance as a shared and social experience. I realized a long time ago that making work is only half the equation. I accept the challenge of performance as something that reveals an aspect of humanity and togetherness that is vulnerable and precarious, and try to create environments in which the audience is made complicit in this experience. Photo of Jeanine Durning by Snorri Sturluson. Front page photo of To Being by Alex Escalante, with Molly Poerstel, Julian Barnett, Jeanine Durning.